US president Donald Trump has spoken with Turkish prime minister Recep Tayyip Erdogan as he considers his response to the suspected chemical weapons attack in Syria. The White House says the two leaders have ag﻿﻿reed to stay in close contact about the situation. The UN secretary general has urged Mr Trump not to launch military action in Syria. The Algerian defence ministry says it's investigating the cause of a plane crash that killed 257 people, south of the national capital. Witnesses say they saw a wing catch on fire when the plane was about 150 metres in the air. Most of the victims were military personnel. Facebook CEO, Mark Zuckerberg, says his company is considering taking legal action against the University of Cambridge, where the man who sold user data to Cambridge Analytica was based. 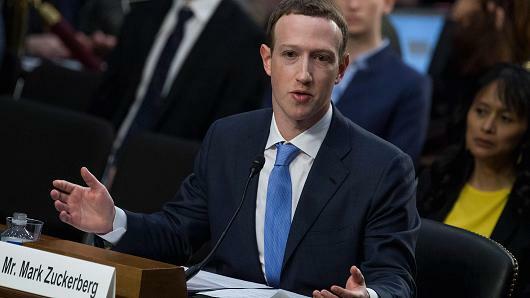 The 33-year-old has faced his second day of questioning from the US Congress, and warned against over-regulation in response to the data scandal. And the majority of New South Wales is currently heading to the driest period in a decade, almost 10 per cent of the state is already in drought, more than 20 per cent is inching that way and a further 60 per cent is officially on drought watch.